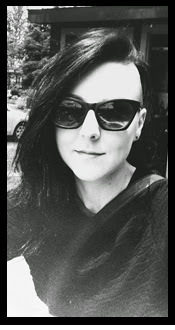 I have had a second Etsy shop since 2009, it was a place for my sweeter creations. I sometimes make cute animal things, kid friendly things, and its kind of hard to showcase those type of items in a shop with my regular coffins and vampire items. 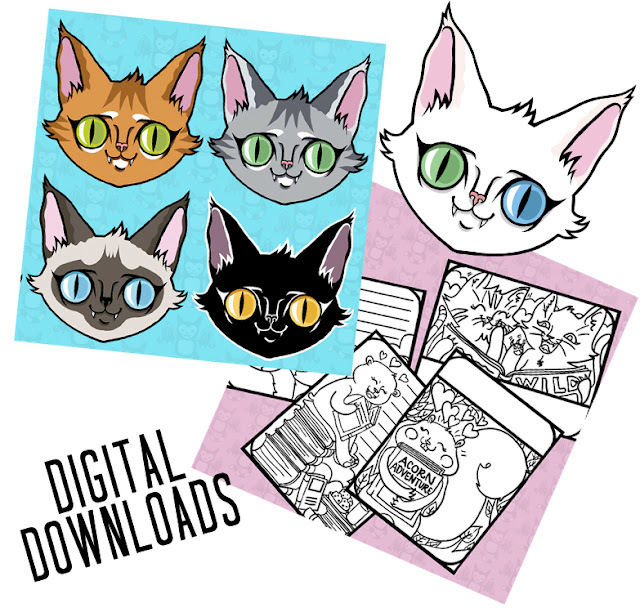 This year, I only had a few items in my cute store, so I decided to test out Etsy's new-ish feature that allows you to sell digital items. 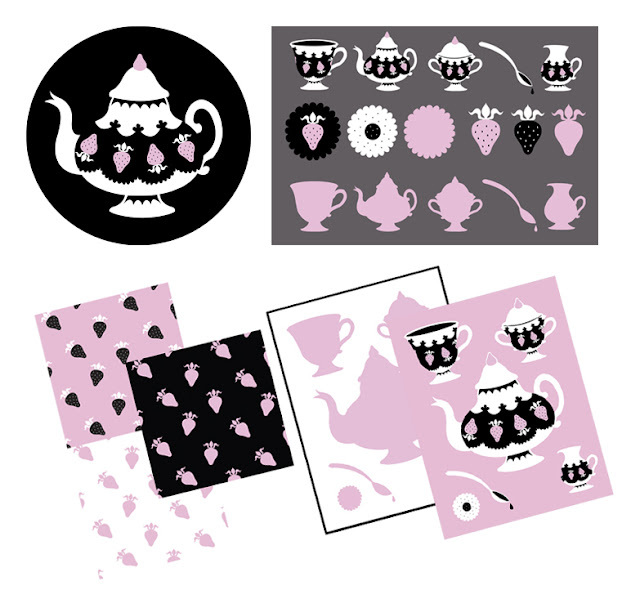 Like, knitting patterns, design work or printable/digital scrapbook items. I often get messages from people who want to use my work for other purposes (wedding invites, birthday cards, etc) so why not? DON'T FREAK OUT. This stuff is pretty cutesy. Its just a sideline, its not a total personality shift or something, haha. So for a few dollars, you can download a ZIP file of a bunch of high quality images for use in any of your personal projects. This was the first one I did. Its the closest to my regular colour preferences...You get a bunch of super clean PNG files with transparent backgrounds, repeating wallpapers, printable posters and also JPEG copies of everything. I updated this older set of illustrations so they could be blown up large and still be smooth. 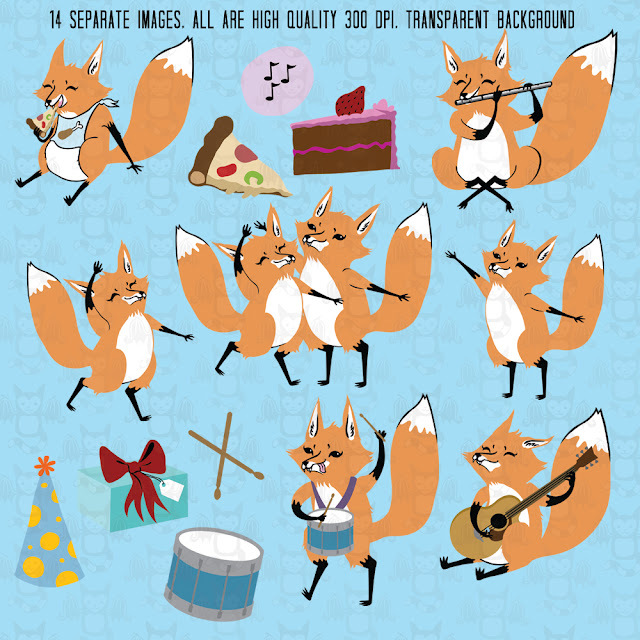 I want a fox party! 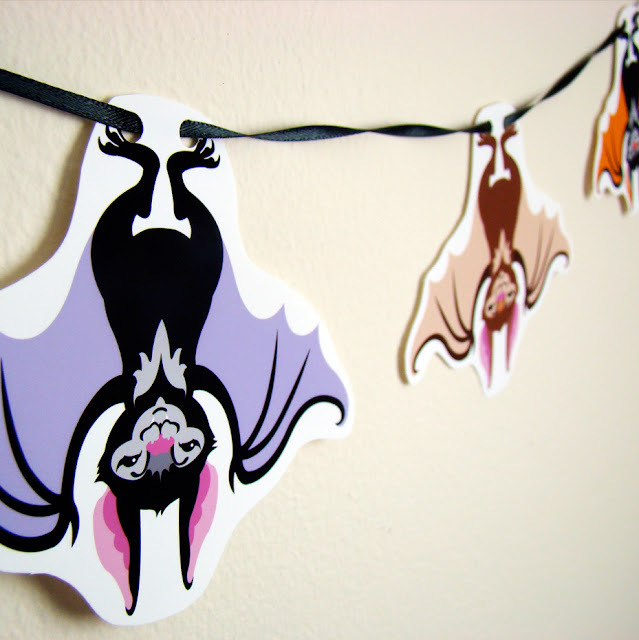 Lastly, I made a printable Bat Garland! A few different colour combinations of a nice bat, and printable pages with directions for cutting and stringing them. Doing digital-only work has been a nice change. I think it gives me space between making physical items to relax and just work without struggling or problem solving too strenuously. My next post will have some of my less sweet work I have been updating my Redbubble with.